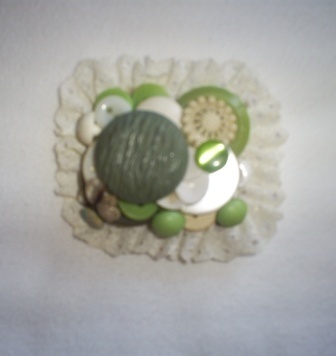 This handcrafted brooch is made with vintage buttons. There is a lace finish around edge. It measures approximately 3". There is a bar clasp. New A compliment to any outfit!